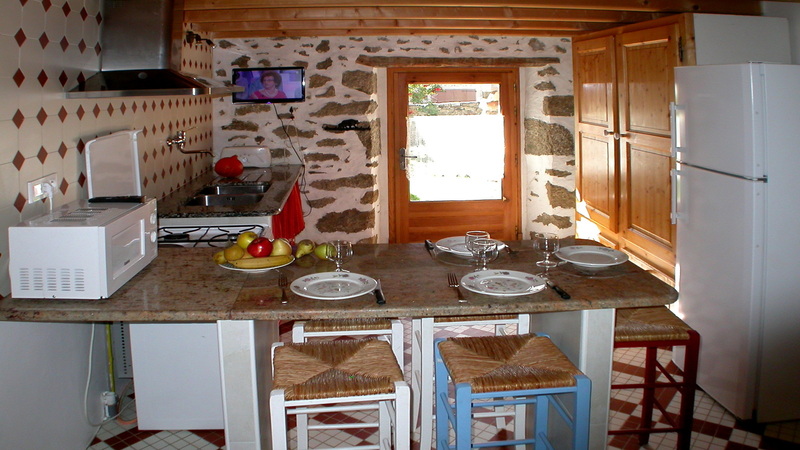 The kitchen opens directly on the courtyard, which is convenient to discharge the car and very appreciable in summer. American kitchen style up to 5 people with 5 stools. The kitchen communicates with the living room.